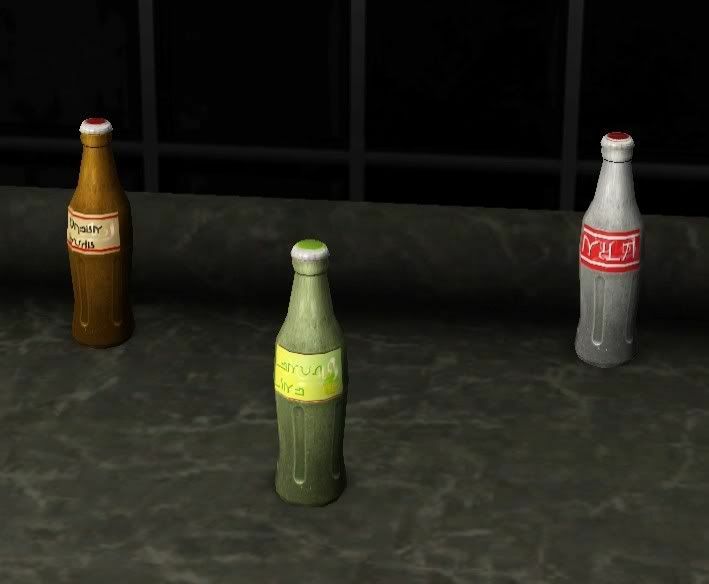 I had really wanted to make these drinkable, but for some reason half the texture is missing when I try to make a default replacement juice. If anyone knows how to fix that, please let me know. 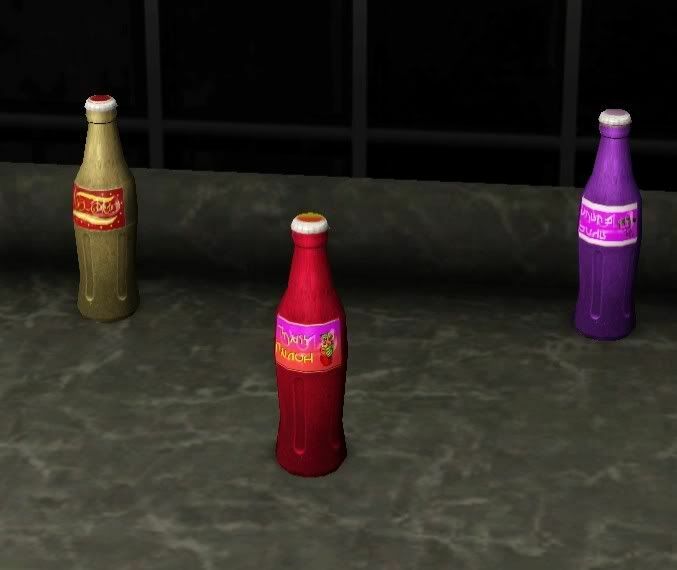 Anyway, this is converted from my drinkable Sims 2 drinks here on tnws.com. The labels and lids are overlays (not recolorable) the glass and liquid drink bottle part is recolorable. The drinks have 1 channel. 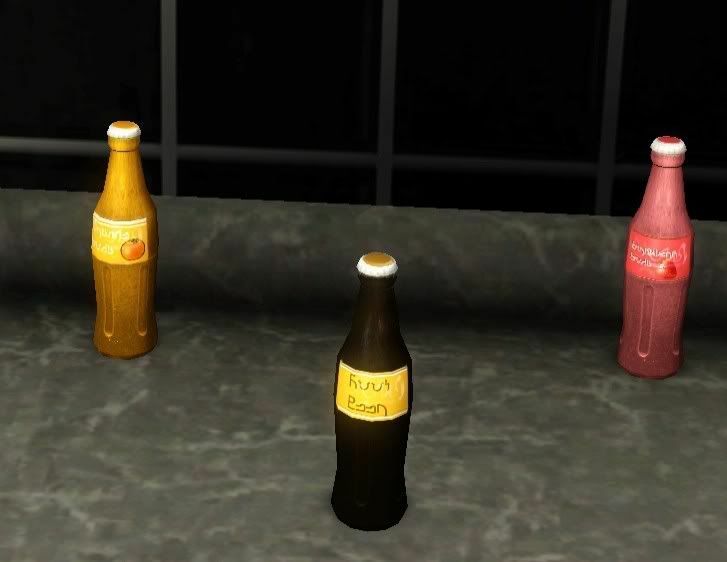 Included is: Cola, Diet Cola, Root Beer, Strawberry Soda, Orange Soda, Grape Soda, Cream Soda, Lemon-Lime Soda, Fruit Punch, Milk, Chocolate Milk, and Egg Nog overlays. Enjoy! 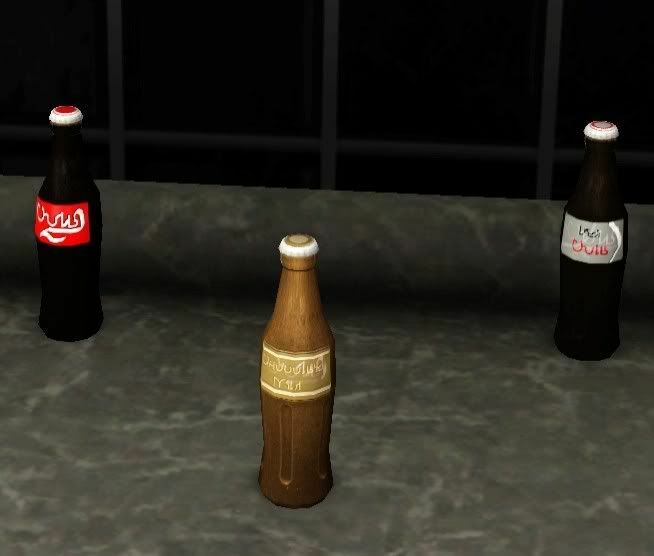 If you're still looking to make these drinkable, Sandy over at AtS3 has several drinkable beverages. Might be something to look into or ask her about.